There is a ‘high probability’ that the Tunisian suspect they are hunting in connection with the Berlin truck attack is the perpetrator, Germany’s Interior Minister has confirmed. He cited additional evidence, including fingerprints found in the driver’s cab supported the claim. An international manhunt is underway for Anis Amri after his identity documents were found in the truck used in Monday’s attack. Chancellor Angela Merkel said she hoped for a swift arrest of the perpetrator. “I am confident that we will master this crucial test we find ourselves in, because we have got professional personnel, who with all their means, will contribute to the successful outcome of the investigation; but also (I am confident) because we know, that the values of democracy and the rule of law are on our side,” Merkel told reporters at the Federal Office of Criminal Investigations. 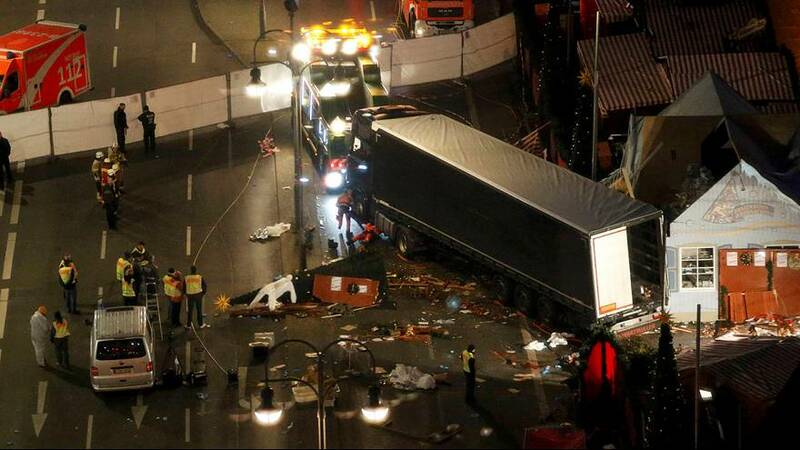 German police carried out raids overnight in Berlin in their search for the suspect. Border checks have been stepped up after a European arrest warrant was issued, and a 100,000 euro reward was offered for any information that would lead to the suspect’s arrest. Berlin attack suspect - what do we know?